Long-running metalcore giants Zao are returning with their upcoming ninth studio album. Titled Awake?, the album is set to include 11 tracks (one of which is a remake of beloved B-side "Romance of the Southern Spirit") and was produced by As I Lay Dying's Tim Lambesis. While no solid tracklisting has been revealed, the band did share some new song titles; "1,000,000 Outstretched Arms Of Nothing," "The Eyes Behind The Throne," "Human Cattle Masses Marching Forward," and "Quiet Passenger Pt. 2." They also revealed that the album will likely be released this spring by Ferret Music. 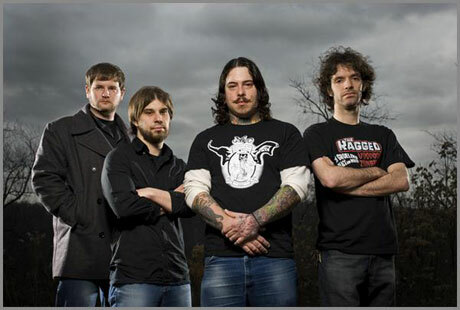 In a post on their MySpace blog, the band expressed how thrilled they are with the quality of the new material, stating, "We can't wait for you guys to hear this album! We are very proud of it and in our humble opinions, it is very reminiscent of what you have come to know and love about Zao over the years. Every band likes to say "this new album is our best yet" so we won't say that to you. We know that albums like Blood & Fire and Liberate will always be fan favorites, and they are special to us as well. But with that being said, believe us when we say that we strongly feel Awake?" is a more than worthy addition to our catalog." Zao "My Love, My Love, We've Come Back From The Dead"